The pregnancy test is positive, and you can’t wait to see it with your own eyes to believe it! This appointment requires a full bladder for adequate visualization. Please drink 24 ounces of water (not juice, milk or other liquids that require digestion) before your scheduled appointment time. Please understand that doppler ultrasound to hear the baby’s heartbeat during the first trimester is not reccommended by the American College of Ostetrics and Gyneology. 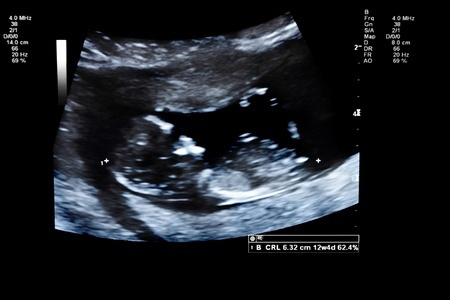 Therefore, the heartbeat recording is not available prior to 15 weeks gestation in our office.